Stem cells have the ability to divide for indefinite periods in culture and give rise to multiple specialized cell types. They can develop into blood, neurons, bone, muscle, skin and other cell types. They have emerged as a major tool for research into the causes of ALS, and in the search of new treatments. Endogenous stem cells: Stem cells that are already present in the body. Small numbers of endogenous stem cells are present in many different tissues, such as bone marrow, skin and specific parts of the brain and spinal cord. Induced pluripotent stem cells (iPSCs): Stem cells can be created from adult skin cells, called fibroblasts. Skin cells are treated in a lab dish with a precise cocktail of naturally occurring growth factors that “turns back the clock,” transforming them back into cells like those that gave rise to them – stem cells. iPSCs have emerged in recent years as by far the most significant source of stem cells for ALS research. Embryonic stem cells: Stem cells that form during development. They can be isolated from fertilized embryos less than a week old. 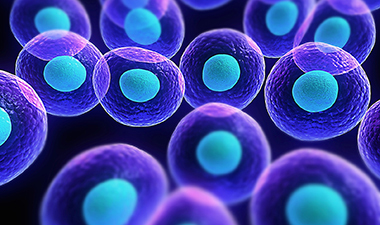 While early research in stem cell biology focused on embryonic stem cells, increasingly the focus has shifted to IPSCs. Not only does this source of stem cells eliminate ethical concerns, it provides significant advantages as it is now possible to develop disease model systems that are unique for the individual. The field of stem cell research is progressing rapidly, and The ALS Association is spearheading work on several critical fronts. The research portfolio supports innovative projects using IPSCs for drug development and disease modeling. The Association is supporting an IPSC core at Cedars-Sinai Medical Center providing access to lines for researchers globally. Several of the “big data” initiatives are collecting skin cells or blood for IPSC generation, such as Genomic Translation for ALS Clinical Care (GTAC), Project MinE, NeuroLINCS and Answer ALS. The ALS Association also sponsors pre-clinical studies and pilot clinical trials using stem cell transplant approaches to develop the necessary tools for stem cell transplant studies and to improve methods for safety and efficiency. We also support studies that involve isolating IPSCs to develop biomarkers for clinical trials through ALS ACT. In addition, the retigabine clinical trial that we sponsor uses iPSCs derived from participants in parallel with clinical data to help test whether the drug has the desired effect. Stem cells are being used in many laboratories today for research into the causes of and treatments for ALS. Most commonly, researchers use iPSCs to make a unique source of motor neurons from individual ALS patients to try to understand why and how motor neurons die in ALS. Two types of motor neurons are affected in ALS are upper coriticospinal motor neurons, that when damaged, cause muscle spasticity (uncontrolled movement), and lower motor neurons, that when damaged, cause muscle weakness. Both types can be made from iPSCs to cover the range of pathology and symptoms found in ALS. Astrocytes, a type of support cell, called glia, of the central nervous system (CNS), are also being generated from iPSCs. It is well established that glia play a role in disease process and contribute to motor neuron death. Motor neurons created from iPSCs have many uses. The availability of large numbers of identical neurons, made possible by iPSCs, has dramatically expanded the ability to search for new treatments. For example, they can also be used to screen for drugs that can alter the disease process. Motor neurons derived from iPSCs can be genetically modified to produce colored fluorescent markers that allow clear visualization under a microscope. The health of individual motor neurons can be tracked over time to understand if a test compound has a positive or negative effect. Because iPSCs can be made from skin samples or blood of any person, researchers have begun to make cell lines derived from dozens of individuals with ALS. One advantage of iPSCs are that they capture a person’s exact genetic material and provide an unlimited supply of cells that can be studied in a dish, which is like person’s own avatar. Comparing the motor neurons derived from these cells lines allows them to ask what is common, and what is unique, about each case of ALS, leading to further understanding of the disease process. They are also used to correlate patients’ clinical parameters, such as site of onset and severity with any changes in the same patient’s motor neurons. Stem cells may also have a role to play in treating the disease. The most likely application may be to use stem cells or cells derived from them to deliver growth factors or protective molecules to motor neurons in the spinal cord. Clinical trials of such stem cell transplants are in the early stages, but appear to be safe. In addition, transplantation of healthy astrocytes have the potential to be beneficial in supporting motor neurons in the brain and spinal cord. While the idea of replacing dying motor neurons with new ones derived from stem cells is appealing, using stem cells as a delivery tool to provide trophic factors to motor neurons is a more realistic and feasible approach. The significant challenge to replacing dying motor neurons is making the appropriate connections between muscles and surrounding neurons. Isolation of IPSCs from people with ALS in clinical trials is extremely valuable for the identification of unique signatures in the presence or absence of a specific treatment approach and as a read out to test whether a drug or test compound has an impact on the health of motor neurons and/or astrocytes. A positive result gives researchers confidence to move forward to more advanced clinical trials. For example, The ALS Association is currently funding a clinical trial to test the effects of retigabine on motor neurons, which use the enrolled patients’ individual iPSCs lines derived from collected skin samples and testing whether there is a change in the excitability of motor neurons in people with ALS. (see above).